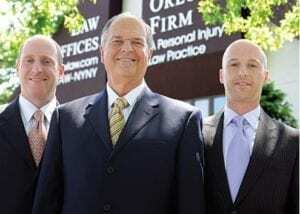 Learn how The Orlow Firm can help you after a construction site accident in The Bronx. Call (646) 647-3398 or contact us online. We offer free initial consultations. Undocumented workers have the same rights to compensation as other workers in The Bronx. For more information, review our page on undocumented workers. Se habla español. If you are injured in a construction site accident, call The Bronx personal injury attorneys at The Orlow Firm. To learn more about how we can help you, contact us for a free initial consultation. You will always work with a named partner at our firm, and we believe that you should expect nothing less.